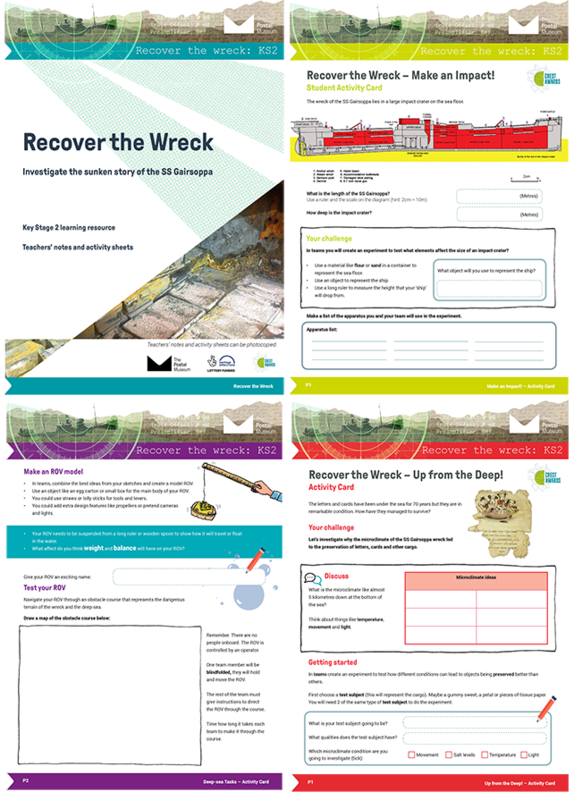 We were commissioned by The Postal Museum to produce a suite of learning resources based around the ‘Voices from the Deep’ exhibition; a collection of lost letters and other fascinating artefacts recovered from a WWII cargo ship. The collection of animated videos, printable classroom activities and dynamic PowerPoint presentations support learning across the curriculum in an engaging and thought provoking way. The learning resources are accredited by the British Science Association and have a strong ‘STEAM’ focus.